About a year ago, I wrote a post about joining Clover and our hopes for how behavioral science could impact member health. Since then, we’ve learned a great deal about bringing a behavioral science process to an insurance plan, both how hard it can be and how fruitful. So I wanted to take a step back and talk about not the interventions we’ve designed (which I’ll continue to post about separately) but the process of building the behavioral science discipline at Clover. Whenever I enter a company, I always try to commit to not managing anyone for the first year. This is a tremendous luxury but an important one: it means I get to understand how things work before trying to change them, which is a key part of any good behavioral design process. So for the past year at Clover, I’ve been a one-man band in terms of formal behavioral science. That doesn’t mean I’ve been alone. There are really two models for behavioral science in an org: center of excellence (you ship us a problem, we ship back a solution) and distributed (everyone learns how to see behavior as an outcome and science as a process). While I believe both have their place, I have always worked in the distributed model and Clover is no different. I’ve run Lunch and Learns and taught classes, collaborated on projects with essentially every team in the company, and have continually worked to make sure everyone knows a little more than they did the day before. We’ve established an easy-to-follow protocol, the Intervention Design Process, that everyone at the company can use to generate insights, validate them, and then pilot/test/scale interventions based on them. They can tap the appropriate teams, including Data Science and UX Research, to help with both quantitative and qualitative validation and triangulate with business leaders not only whether interventions work but whether they are worth scaling. And overall, this simple process is working. I now frequently end up in meetings where I’m not needed, because they’re already putting human behavior at the center of the design process and appropriately measuring the outcomes. And that’s great — one of the mandates for my team is always that we should be working ourselves out of a job. But one of the limitations we’ve experienced of a fully distributed model is bandwidth. As with any young company, Clover has a great many things that need to be done both well and quickly, which means resource tradeoffs that can be painful and aren’t in the best interests of our members. 2 x Qualitative Researchers understand behavior through direct observation. So they talk directly to members, providers, etc. to harvest insights and validate pilots. 2 x Quantitative Researchers understand behavior through indirect observation. So they look at data from claims, check ins, visits, etc. to harvest insights and validate pilots. 1 x Academic Researcher understands behavior through what is theoretically known. So they look at existing studies, talk to academics, etc. to harvest insights and validate pilots. *This is actually framed as a Fellowship and is the only temporary position, based on semester. 3 x Project Managers keep the whole process running and actually implement the pilots themselves. So they own coordinating the validation, the design process, and everything that leads to a scaling decision. These links will eventually break as we finish hiring but for the moment, the job descriptions are linked to the job title. Feel free to steal them if you are hiring a team or apply if you’re looking to join one. The Intervention Design Process itself can best be boiled down as find things that are potentially true about behavior, make sure they are true, figure out how to change them, try changing them and see what works, scale the things where the juice is worth the squeeze. Eventually I’ll blog more about how we do it but hopefully you can begin to see how the people and the process work together. Hopefully, in making clear how we’ve built our team, we can inspire others to do the same. Because after a year of work, I am more convinced than ever that if we want true change in the fundamental systems of this world, including healthcare, a focus on human behavior is a necessary part of that journey. Join our team or make your own but please, push forward — this is work worth doing. Chief Behavioral Officer at Clover Health and Dad to Bear. past: academia, startup exits, microsoft/M12. 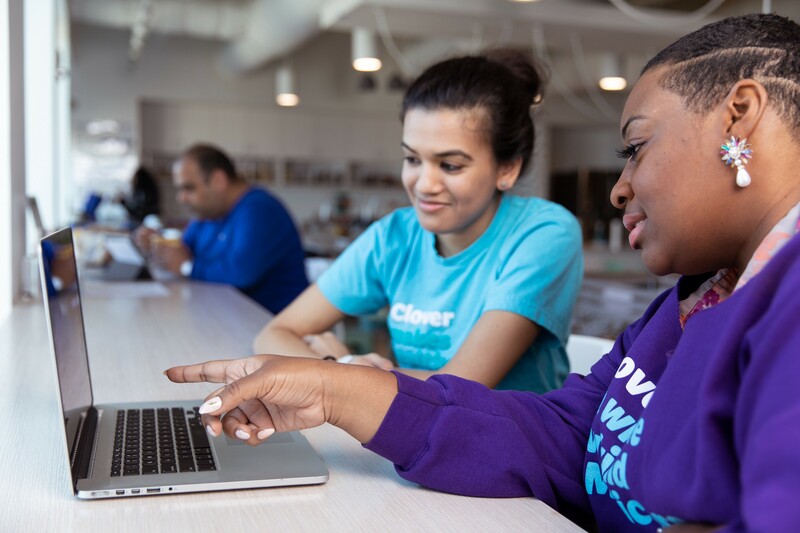 "…the chance to work hard at work worth doing"
Inspired to rethink how insurance works to better serve seniors and people with disabilities, Clover attracts empathetic and tenacious individuals dedicated to making a positive impact on the world. These are our stories.